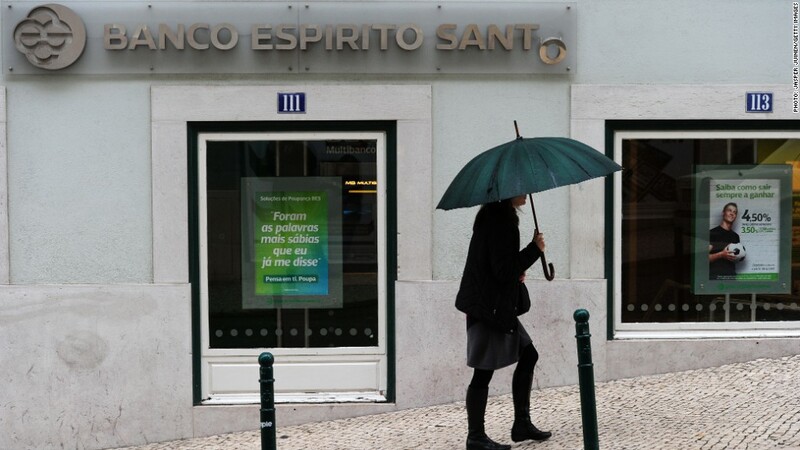 Portugal's central bank has split the troubled Banco Espirito Santo into "good" and "bad" banks in a rescue that will cost billions but protect taxpayers and bank customers. Under the €4.9 billion ($6.6 billion) plan, most of the bank's deposits, branches, workers and operations will be transferred to Novo Banco, a new entity controlled by the Bank of Portugal. Banco Espirito Santo's problem assets will remain with the "bad" bank, and losses will be borne by shareholders and subordinated creditors. The bank's current customers and senior bondholders will be protected. "Nothing changes for the customers, who will be able to carry out all operations as usual and without disruption," the central bank said in a statement. "The contents of the contractual relationships with the customers remain unchanged." Funding for the bailout comes from the Bank of Portugal's Resolution Fund, a mechanism designed to help control banking sector risks. A loan from the state will provide the fund with additional capital. The bailout comes in the wake of problems at the wider Espirito Santo group, which has been rocked by revelations of financial irregularities in recent months. The impact outside Portugal should be limited. Banco Espirito Santo accounts for less than a fifth of the country's total banking assets and only 0.25% of the eurozone banking sector. Eurozone banks are still far from perfect, but they've come a long way in the last two years. EU leaders have given themselves the tools to calm market panic by creating a permanent bailout fund -- the European Stability Mechanism -- and are putting in place the essential elements of a banking union. The European Central Bank is reviewing the assets and resilience of the region's most important banks, and eurozone states have agreed to rules on how to rescue -- or wind down -- banks that get into trouble.